Cut on the bias, this is an Ethnic style I was inspired to create from the Indian women of my native Trinidad, unaware of the existence in other countries. I’m sharing my version of the adjustable dress which was designed in the mid-1990’s to accommodate various heights, varies hemlines and the wearable artist! I have sufficed that the “Moroccan” is due to the origins of the susti (sousdi, susde, sousde) fabric, used by manufacturers. 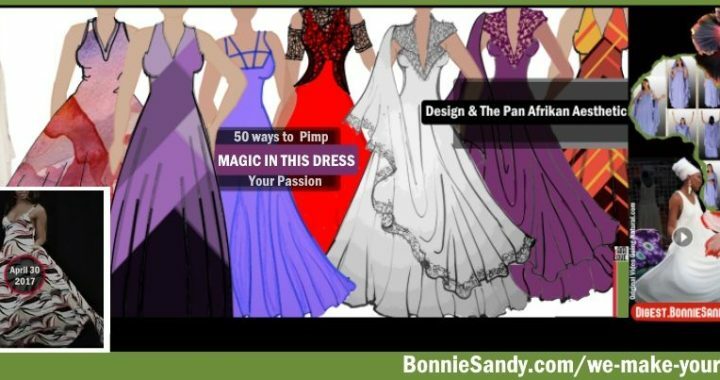 I am a designer and for the life of me cannot comprehend why folks have not taken this design concept further so in video 3- we look at ethnic design, variations in style including a single layer version that can be layered or worn over trousers with even more styling options! I also wanted to explore various “modes” or models of releasing items that I have designed to impact local communities. Since our target is those who wish to resell and in celebration of Small Business Week. Posted in Embrace Da Bs, How To, Latest, Rethinking Distribution, Rethinking Production.